Armenian diplomats are following the fate of Hrachya Harutyunyan, a 46-year-old citizen of Armenia responsible for the weekend’s deadly bus crash near Moscow. The Ministry of Foreign Affairs told local media that the Armenian embassy in Moscow is in constant touch with Harutyunyan’s defense attorneys in order to provide assistance whenever necessary. It said that the man, who crashed on a fully laden truck into a bus near the city of Podolsk killing 18 and injuring dozens of passengers, was currently in hospital and, according to investigators, was not in need of clothing. 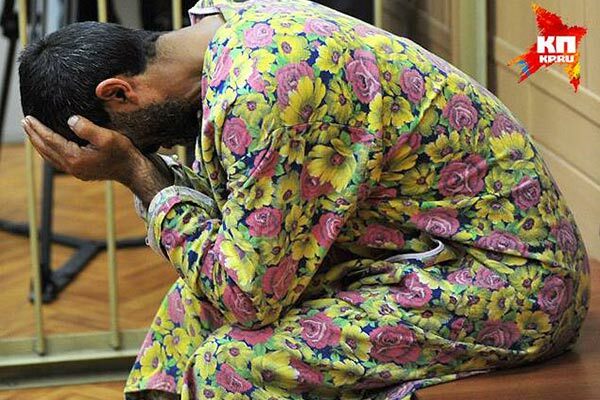 Earlier, footage transpired on the internet on which Harutyunyan was shown in court wearing inappropriate clothing – a women’s dressing-gown. Armenian Ombudsman Karen Andreasyan formally wrote to his Russian counterpart Vladimir Lukin today bringing the human right defender’s attention to this circumstance as well as asking him to look into this instance of humiliation and take action aimed at providing assistance to the citizen of Armenia within the scope of his powers. Harutyunyan faces up to seven years in prison for what has been qualified as manslaughter – breaking traffic rules resulting in an ‘inadvertent’ killing of two or more persons. The case has elicited a great response across Russia, with calls being made for stricter control over foreigners working as drivers in Russia with licenses issued by their own countries. A local news website wrote yesterday that Harutyunyan chose migrant work in Russia to earn money for a tombstone for his son who died of an illness shortly after being demobilized from the army.